In this episode, I speak with a researcher who is widely regarded as the world’s top expert on this subject, Dr. Michael Hamblin, Ph.D., an associate professor at Harvard Medical School. He’s a member of the affiliated faculty of the Harvard MIT Division of Health, Science, and Technology and has published more than 400 peer-reviewed papers. Dr. Hamblin will be sharing his knowledge about the science on the amazing benefits of red light therapy. What is near-infrared and red light therapy? Why there is so much research done on photobiomodulation? Are there any areas where manufacturers falsely claim red light therapy benefits? Sunlight – is it as effective as targeted red light therapy? Are there any areas where manufacturers claim red light therapy benefits (without science to back it up)? Can you overdose on red light therapy? If so, what are the side effects? Ari Whitten: Hi everyone. Welcome back to The Energy Blueprint Podcast. I’m your host, Ari Whitten, and today, I have with me one of the most respected, if not the most respected light researchers in the world. Dr. Michael Hamblin. Now, I’ll read you just a few points about his background and his bio. He’s an associate professor at Harvard Medical School. He’s a member of the affiliated faculty of the Harvard MIT Division of Health, Science, and Technology. He was trained as a synthetic organic chemist and received his Ph.D. from Trent University in England. He directs a laboratory of around a dozen postdoctoral fellows, visiting scientists and graduate students. He’s published 284 peer-reviewed articles over a hundred conference pro- 150 conference proceedings, book chapters, and international abstracts and holds eight patents. He’s an associate editor for seven journals on the editorial board of a further 12 journals and serves on the NIH National Institutes of Health study sections. And for the past 10 years, Dr. Hamblin has chaired an annual conference at Spy Photonics West entitled mechanisms for low-level light therapy. So, with all of that said, a very, very impressive list of accomplishments, especially nearly 300 peer-reviewed journal articles and research papers. It is my pleasure and honor to welcome Dr. Michael Hamblin to the show. Thank you so much for joining. Dr. Michael Hamblin: Well, thank you, Ari. I’m not going to be picky, but that was a little bit outdated that bio. For instance, I now have 423 peer-reviewed papers, an editor in chief and a bunch of other things, but these outdated bios develop a life of their own on the Internet and you need to update them all the time, but never mind. Ari Whitten: Yeah. Well, thank you for correcting me. And, that’s quite impressive that the number has increased that dramatically in such a short time. So, this is what I want to talk to you about today is red and near-infrared and near-infrared light therapy. This is a subject near and dear to my heart that I’ve been researching for about 10 years and I’m not formally researching, but more reading the research from people such as yourself, actual scientists in the field. And I’ve read two of your textbooks and I’ve also written a layperson’s book on the subject myself. I just find this topic absolutely fascinating and you are pretty much the preeminent scientist, one of the top scientists in this field. So, it’s really a personal honor to have you on the show. I’ve really admired you from afar for many years now. And, I guess to start off for people that are totally unfamiliar with this topic, can you explain what red light therapy and near-infrared light therapy actually are? Dr. Michael Hamblin: Okay. So, we’ve called this relatively recently, about three or four years ago, all the scientists and doctors who are working in the field, got together to decide on the pseudo name that everybody could use so we would all be singing from the same hymn sheet. So that is now called photobiomodulation. All one word, photobiomodulation abbreviated to PBM. And it replaces what used to be largely known as low-level laser therapy. As you pointed out, it quite often uses red or near-infrared light, but way back, sunlight does a lot of same things. And in the 100 years ago, they had electric light. So, it’s not a new concept. It’s been known for centuries and even thousands of years ago actually. But in recent times, scientists have begun to take it seriously. And I’ve looked into a lot of the fundamental cellular and molecular mechanisms that underlie the effect. It’s rapidly growing, for sure. I have seldom seen so many, any biomedical area that’s grown so rapidly as in the last five years. And partly this is because LEDs, light emitting diodes became relatively inexpensive and accessible. You can find LED devices on the Internet, and folks are doing just that. They’re buying various LED devices and using them at home. Because of the FDA, they have done that. Any low-powered LED device did not need FDA approval to be marketed, provided the company is not claiming they can cure a disease with it. Right? The FDA calls this “general health and wellness” and companies are allowed to market these devices for improving your health but not curing a specific disease. Yeah. And a lot of people now are getting confused because there are so many devices out there and a lot of people can’t and the companies don’t often give all the parameters and even if they do, a lot of people don’t understand what the parameters mean, and they don’t know how many milliwatts total. How many milliwatts per square centimeter, how many joules? How many joules per square centimeter they want. But to some degree, it’s not critical. A lot of people get hung up about dose imagery because they think I can get an overdose because there are some cases where you can have too much light therapy. But mostly I tell folks not to worry provided they’ve got a decently powerful light source and with LEDs, you can have tens of watts of optical power or even a hundred watts of optical power. And an led array is not particularly high these days. This is very different from the old days when you would have a one or a 200 milliwatt laser, right? Like one percent of the power of something totally ridiculous. Laser therapists still like to use the lasers. So, you still like to point the laser at the parts of the body that you think needs stimulation by this PBM effect. But I think it’s rapidly growing where people are getting relatively large LED arrays, they can put on any part of their body to cover their head, or their legs, or their back, or their belly, or their face, pretty much anywhere on your body that you think could do with being stimulated by light. You can do it in the comfort of your own home, lie in bed. And you put an LED wherever you want. Ari Whitten: Yeah. Excellent. So red and near-infrared light specifically, what, what is unique about those wavelengths and why? Why is so much of the photobiomodulation research uniquely focused on red light and near-infrared light? Dr. Michael Hamblin: The main reason is that red and near-infrared transmit through tissue. Blue and green are actually quite powerful biologically, but they don’t penetrate into the body very well. So, if you had blue and green light, it’s a fairly superficial thing. I mean, blue lights quite good for pain actually. But by and large, red and near-infrared penetrate into tissue and you can easily do an experiment to show that if you just take a bright white light and put it on one side of your hand in a dark room and look from the other, you see a red spot of light coming out through your hand because all the other colors have been absorbed. That’s a simple way to show that red light passes through tissue. Ari Whitten: Yeah. Interesting. So, but are the actual mechanisms of action the same between all these different light sources? Meaning are red and near-infrared light basically operating through the same sorts of mechanisms as let’s say, blue and green light? Dr. Michael Hamblin: To some degree, but not completely. So, the number of mechanisms that we understand for different wavelengths of light is constantly growing. Red and near-infrared are best understood. Blue and green, a little bit less, but people are rapidly understanding more. So, I think, the answer to the question is yes and no. Some things are in common, mitochondria are in common for virtually all wavelengths, but things like calcium, things like signaling through opsins which are light sensitive proteins are much more triggered by the blue and green. Whereas virtually all wavelengths stimulate mitochondria. And as you say, red and near-infrared are most studied because they transmit through tissue. Ari Whitten: Okay. I want to dig into the mechanisms with you in a moment. But I have kind of a broader question in this entire field of research, which is there are a lot of people in conventional medicine who have either never heard of red and near-infrared light therapy or maybe even photobiomodulation more broadly. Or just kind of assume that since it’s not already integrated within conventional medicine, it must be sort of quackery and pseudoscience and not really have any evidence to support it. So, is this really scientific and why has this not already been integrated into conventional medicine in a really big way? Dr. Michael Hamblin: Okay. That is a question with a lot of answers. So that’s one reason that the medical profession is notoriously conventional and a little bit suspicious as you say, of things that are considered to be quackery and alternative complementary medicine. And another thing is the mainstream medicine is firmly wedded to the whole concept of pharmaceutical therapy. The relationship between doctors and drug companies has never been closer. And the companies that make light therapy devices cannot see an attractive business model. I mean, if they’re not ever going to be like a prescription where you get a month’s supply of pills. Can a doctor prescribe a red light source, or will he just advise a patient to buy it themselves? I can definitely see light sources being in hospitals and clinics because people are kind of there. Light sources can do a remarkable amount of benefit, especially if you’re injured if you’ve had surgery, but what is going to convince people in hospitals to get light sources? You know it’s not like they have a pharmaceutical marketing people calling on them all the time pushing the latest drug, but the companies that make light sources don’t really have the manpower to have a sales force to go around and hospitals and even if they did, it’s a single light source. All right. You can sell a few, a few hundred dollars each. It’s not, that’s not really the marketing impetus that there is some from pharmaceutical companies. Ari Whitten: Yeah. Yeah. Interesting. So, what about from the angle of science? Like what if somebody is assuming that because this is not integrated in conventional medicine, it must only have 10 or 20 studies that even exist on this topic much not, must not have good science to support it. So, what, what is the status of the actual evidence to support the benefits of red and near-infrared light therapy? Dr. Michael Hamblin: Yeah. There are five thousand peer-reviewed papers. At least five thousand, and they are growing rapidly, so it’s probably gonna be a thousand new ones each year the way things are going. As you pointed out, I personally have edited several major textbooks on this. The amount of hard scientific evidence is exponentially increasing. 10 years ago, I agree with you, there weren’t that many papers, the quality of the papers was not as good as it should have been. There were a lot of negative studies because people would start doing a study without believing it would work. So, when they chose their parameters and they sort of shot themselves in the foot by choosing some parameters that stood no chance of working. So, they could publish a negative paper and say,” Oh, well, we expected it wouldn’t work and that’s what we found.” But that doesn’t happen anymore because everybody who’s bothered to look into the whole field is totally convinced by the evidence. Ari Whitten: Yeah. I think it’s worth emphasizing that number that you mentioned 5,000 studies. So, I mean at that point when I think, you can safely say that when something has 5,000 studies on it, it is pretty well established. I mean I would call that pretty much a mountain of evidence showing that it’s legitimate and that it works beyond the shadow of a doubt. Would you agree with that sentiment? Dr. Michael Hamblin: Absolutely. Quite so, quite agree. Ari Whitten: Yeah. So what conditions do you feel this, that red near-infrared light therapy are particularly useful for and where does it stand out the most to you in your mind? And obviously, there are bodies of evidence around skin anti-aging, around hypothyroidism, around athletic performance and recovery, and fat loss. What, what are the biggest areas where you feel there’s really strong evidence showing that this is an amazing therapy? Dr. Michael Hamblin: Oh God, you… In that list… my personal favorite wasn’t on there. So That’s interesting. I believe the biggest single area of application is the brain. So photobiomodulation or shining near-infrared light on the head. You quite often pick near-infrared because you wanted to penetrate through the scalp and the skull into the brain. And it could do an amazing array of things. So, let’s take sudden events that can happen to you. You can have a stroke, you can get hit on the head and you end up with a traumatic brain injury. You can be starved of oxygen if you have a heart attack or a baby who has difficulties during birth. Anytime you’re starved of oxygen, you’ll end up with brain damage. So, all of these are like a sudden traumatic events – stroke, head injuries, being starved of oxygen. And photobiomodulation, there is good evidence it will benefit people who have unfortunately been inflicted with these. So, we’re talking about increasing cognitive performance, improving memory, improving sleep, improving like emotional regulation and all these things which happened to you when you’ve had brain damage. Okay, so that’s a traumatic event. And so, let’s take another large class of brain disorders which are neurodegenerative diseases. So, everybody, these days is worried sick about coming down with dementia, and there’s going to be an epidemic of Alzheimer’s disease and dementia and the nursing homes are going to be sort of filled up with old folks, and nobody left to look after them and it’s all doom and gloom because every pharmaceutical treatment that’s ever been tested for Alzheimer’s failed. About several trials, I think about four or five for photobiomodulation for dementia and Alzheimer’s disease have had remarkable success on a small scale. These are generally trials of 5, 10 people, that sort of scale because it’s expensive. You know that cognitive performance is dramatically improved in. Most people say, ”Oh, Alzheimer’s, oh well you are just gonna stop the decline”. These are people who could start talking in sentences again, after never being able to speak for months. People that can start picking up a knife and fork to feed themselves. People who recognize family members that previously they were just met with a blank stare. People can remember which direction to go in if they’re out. These are life-changing improvements all by something as simple as shining near-infrared light on the head. And then Parkinson’s disease, where the leading researchers are in Australia. So, they have treated – again on a small pilot scale – people with Parkinson’s disease and they’re seeing dramatic improvements in movement, in handwriting, in speech. The disabilities in Parkinson’s are different from Alzheimer’s. It’s much more associated with movement and coordination. But again, they’ve seen dramatic improvement. Other neurodegenerative diseases that have been tested with a little bit. So Primary Progressive Aphasia, and frontotemporal dementia, but very small anecdotal reports. So that’s two big classes, sudden traumatic events, events that afflict the brain. Slow degenerative brain disorders that primarily affect old folks. And the third big class is psychiatric disorders. So, when we talk about psychiatric disorders, the ones that have been tried quite a bit are major depression, anxiety disorders, and post-traumatic stress disorder. And there are, again, smallish trials showing that shining near-infrared light on the head can benefit all these serious psychiatric diseases. And as you probably know, there are drugs for psychiatric diseases, but they’re fairly rubbish drugs. They sort of only work a bit and their side effects are horrendous and some people are put on these drugs for years. And quite often, the drugs destroy their lives. Photobiomodulation, a non-drug therapy that could make major contributions. So, recently, the whole U.S. has been up in arms about the opioid epidemic and photobiomodulation has had a good shout in this, because not only can it relieve pain, it’s a non-drug way of pain management. Using red and near-infrared light on the painful parts of the body. But if you put the light on the head, it can help to remodel the brain pathways and remove a craving. So, one of the big parts about drug addiction is your brain pathways get remodeled and even though you detoxify from the drug, you’re still craving it. And this, this craving lasts for years. And because the photobiomodulation can reorganize the pathways in the brain, there’s some evidence that can help with drug addiction. So just with these three big areas of, of brain disorders. We’ve covered a large part of what ails humanity in the modern age. Ari Whitten: Yes, absolutely. And thank you for that wonderful overview of those three different classes. So, there’s also a number of other aspects of benefits here. Hashimoto’s is one interesting area, the autoimmune hypothyroidism. My impression of the research there is that it’s extraordinarily impressive, as to how many of these people are able to either lower their dose of thyroid medications or completely wean off of them. Have you seen much of the research on that and what’s your take on that body of evidence? Dr. Michael Hamblin: So, when you say Hashimoto’s, you mean autoimmune thyroiditis, is that right? Dr. Michael Hamblin: Yeah. So, the reason that photobiomodulation works well for autoimmune disease is that it resets the immune system, right? So, it changes the macrophage phenotype from m1 to m2. So instead of being pro-inflammatory and damaging, you start getting the anti-inflammatory healing phenotype. So, any autoimmune disease actually PBM works surprisingly well. It may also stimulate the cells in the thyroid gland if they’d been damaged by the immune system. But mostly I think the main thing is its anti-inflammatory effect. Ari Whitten: What, what do you, what do you mean by that? So, what’s going on? Why are the anti-inflammatory effects so significant? Dr. Michael Hamblin: Okay. Because any autoimmune disease, you’ve got an overactivated immune system that is attacking the host, right? So, an overactivated immune system is doing it through proinflammatory signaling an activated inflammatory cell. And what photobiomodulation does is it changes the mitochondria. And one of the main hallmarks of m1 macrophages is the mitochondria are doing aerobic glycolysis. So, it’s like the Warburg effect may using glucose to make low amounts of ATP. When you put a light on them, you kick-start oxidative phosphorylation, which makes large amounts of ATP. And you might think if the immune cells have more ATP, they’re more activated. Exactly the opposite is true. If they’re doing oxidative phosphorylation, the phenotype, it’s switched to m2. So, they are anti-inflammatory. Ari Whitten: Fascinating. So, I know that there’s a number of other potential areas we could talk about here, but one area I’d love to get your opinion on is fat loss. And from what I can tell, a lot of the research that’s in existence on that subject has used lasers and a lot of the devices that are patented that are being used in sort of fat loss clinics are laser devices. Are you aware of any research around the use of LEDs for contributing to fat loss? So, I guess that’s the first part of my question. And then the other part is, the last time that I checked through the literature on this, there’s still some kind of debate about the specific mechanisms by which red and near-infrared light can actually contribute to fat loss. Is there any more clarity and more scientific consensus on what those mechanisms actually are? 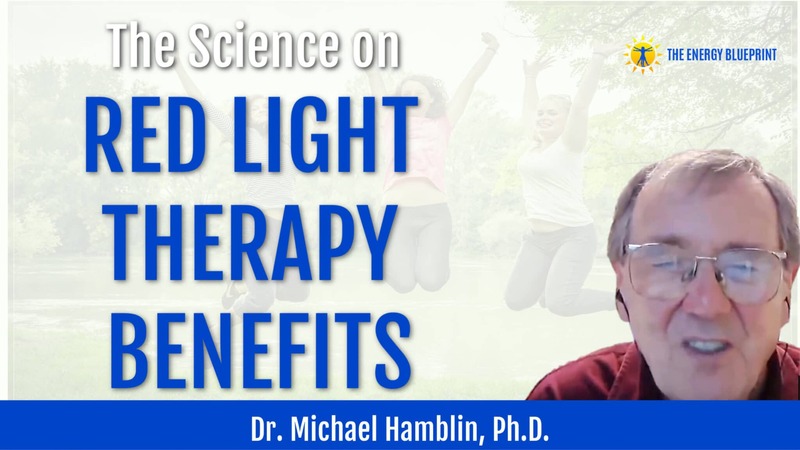 Dr. Michael Hamblin: I’m personally, I believe that it activates hormone-sensitive lipase, which is a cyclic AMP-dependent enzyme, and it’s well known that photobiomodulation elevates cyclic AMP. As you say, there was a theory that you create a temporary pause in the adipocytes and the triglycerides leaked out. But I think that’s been a bit abandoned that theory. I think we’re looking at the well-known effects, the photobiomodulation to raise mitochondrial membrane potential, to shift the metabolism towards oxidative phosphorylation, increase ATP, increase cyclic AMP, which activates this hormone-sensitive lipase. Ari Whitten: Interesting. And are you aware of any research on LEDs and do you feel that lasers are necessary for the fat loss effect or do you think that LEDs are likely to perform just as well? Dr. Michael Hamblin: Yeah, I mean you have to say, I’ve been working in this field long enough to kind of treat lasers and LEDs as the same thing. Every single experiment, I’ve ever done has shown lasers and LEDs are the same, everything. But having said that, there are one or two other people that are convinced that lasers are better than LEDs and folks like that.Some of the guys from the old school. But I have to say there is no really good evidence that lasers are better than LEDs. Since LEDs, you can get them a lot more powerful for a lot less money. What is known that you need enough energy, you’re not going to get fat loss without putting a decent amount of energy into the fat. So, trying to do fat loss with a focused laser beam, in my opinion, it’s a bit like building a sand castle with a teaspoon. I mean, you can do it, but it’s going to have taken you a long time and it’s going to be tedious. Ari Whitten: Yeah, yeah, absolutely. I want to dig into more of the lasers versus LED stuff that your kind of getting at there. But I, I want to get into some of these other conditions as well. One more point on fat loss. If it’s activating hormone-sensitive lipase and it’s sort of freeing lipids from, from fat cells, from the adipocytes. Ari Whitten: Right? So, and those free fatty acids and triglycerides are then entering the bloodstream where they can potentially be burned off. And does it make sense to you to time the red-light therapy or near-infrared light therapy before doing a bout of exercise and maybe even in a fasted state? So that you really can kind of facilitate that, that fat to be burned off? Dr. Michael Hamblin: I believe so. Certainly, it’s well known that exercise and photobiomodulation combine very well together. And it’s also known if you do the exercise after the photobiomodulation it’ll work best. So that’s what I would do. I would put the light on the fat and fairly soon afterward, five minutes afterward, I would do a bout of exercise. Ari Whitten: Okay. Gotcha. Another point related to that. When looking at the body of literature, and I’ve looked pretty extensively at all of the literature on the subject is I know you have, there’s a mixed bag of people kind of applying red and near-infrared light therapy either before the exercise or after the exercise sometimes even during a bout of exercise or having a person do more exercise after it. What if someone is trying to maximize – so, we just covered fat loss – but let’s say somebody is trying to maximize strength and muscle mass gains from weight lifting. Is there any particular timing of the red and near-infrared light therapy that you would suggest for that? Do you think before the workout or after the workout is better? Dr. Michael Hamblin: That’s a good question. The folks that are working in this field, are undecided. I think I’ve seen if you really want to get the best outcome, you do it before and after. At a shorter time, perhaps. So, if you are going to do a 15-minute exposure to light, you could maybe do 10 minutes before and 5 minutes after. Because, if you put the light on after the exercise, it certainly helps with better muscle recovery and less soreness. But, so it does if you do it before. Certainly, exercise every day and you use the light every day along with the exercise. Then you get a dramatic improvement. If you’re doing weight lifting every day or you are doing running every day, you use the light, whichever you prefer before or after… I doubt it makes that much difference. I think the big debate was when it was a single athletic event. So, if you have run, are going to run a 100-meter sprint and you’re gonna say, we’re going to put some lights on before they run. How long should it be? Should it be immediately before? Should it be a couple of hours before… With small mice, mice and rats It’s quite clear that three hours before is best. But apparently humans are not mice, as people keep saying that men and mice are different. And with humans, you get a good result if you put the light on directly before the exercise. Ari Whitten: Interesting. What about for skin anti-aging? I know you’ve done a review of the evidence on that. So, what kinds of things is red and near-infrared light therapy actually doing to have an anti-aging effect on our skin? Dr. Michael Hamblin: It’s stimulating collagen synthesis. I think is the main thing. So, these fine lines and wrinkles will look smoother if you can stimulate some collagen synthesis in the skin, in the dermis. It also helps with sort of pigmented spots and inflammatory spots anti-inflammatory. Yeah, and some people say that it just increases the sheen on the skin, and I don’t know what the scientific measurement of sheen on the skin is. I’ve heard people say that. Ari Whitten: interesting. I can’t say I have heard that one before. So yeah, so I know that there’s a number of other particular things we could talk about dental health, oral health, there’s a number of studies related to that. I know that you’ve done a review of the evidence on treating osteoarthritis for example. Are there any other notable areas where you feel red light therapy and near-infrared light therapy or are just, amazingly beneficial for any particular common health issues? Dr. Michael Hamblin: Well, the most well-studied of any application of photobiomodulation is cancer therapy side effects. Maybe a lot of people don’t want to think about that because hoping they’re never going to get cancer, so don’t worry too much about the side effects they would get if they had cancer treatment. But the unfortunate people that do have cancer, this is a huge big deal. So oral mucositis, radiation dermatitis, peripheral neuropathy, chemotherapy-induced hair loss, even cognitive dysfunction – these are all really troubling side effects of cancer therapy and PBM can help with all of them. Ari Whitten: Yeah. Got You. I actually want to talk to you a bit about cancer, but so just to recap, I would sort of conceptualize the list of major health issues or major benefits of red and near-infrared light therapy as skin anti-aging, fat loss, muscle recovery, enhancing strength and muscle size gains, improving athletic performance, decreasing inflammation and improving immune function and combating autoimmune disease, improving brain health in a number of different facets of that. As you mentioned, cancer side effects, hair loss is another one that we haven’t gone over. I know there’s quite a bit of research on that and there’s a lot of different devices for combating hair loss, osteoarthritis, oral health. Are there any other things that you think would be important to add to that list? Dr. Michael Hamblin: A lot of really annoying chronic inflammatory conditions. So, tendinitis, carpal tunnel, tennis elbow, a lot of these tendons, cartilage type things when if you have chronic inflammation, it could be terrible. It goes on for years. Dr. Michael Hamblin: People ended up basically taking painkillers because there’s nothing else they can do quite honestly. So, I think any, any of these chronic pain issues, the, photobiomodulation is a great thing and it will the same time play a part in reducing this huge opioid epidemic that we have. Ari Whitten: Yeah. Yeah, actually, that reminds me, obviously helping to decrease pain and wound healing I think is another big area that I left out list. I know there’s a ton of research on wound healing and kind of slow to heal wounds and that sort of thing. Dr. Michael Hamblin: Yup. Absolutely. And photobiomodulation is one of the best things like diabetic foot ulcers, which is a huge deal. And thousands of people have amputations and things because of diabetic foot ulcers. Ari Whitten: Yeah. Another question kind of related to this, is there any area where you feel that there are claims being made that there’s hype? That isn’t warranted by the evidence as it stands right now. And I’ll mention one example, I’m curious to hear if you agree with me, but one area that I’ve seen people make claims around is increasing testosterone levels that by shining red light on your testicles that you can increase your testosterone levels. Dr. Michael Hamblin: I thought that was fairly well established, but what do I know? [Crosstalk] It’s so obvious you’d say, why would it not? I mean, yeah, because photobiomodulation stimulates the cells to do whatever they’re meant to do. Right? Dr. Michael Hamblin: If you get old and your cells are not working up quite up to how they did when you were young, PBM tends to make them more vigorous if you want to use the word. It makes sense that testosterone levels would go up [Crosstalk]. Dr. Michael Hamblin: That’s interesting, I mean, it’s an opportunity for somebody to do a trial with volunteers and I would use near-infrared LEDs. [Inaudible] really available. I’m sure you must be able to measure testosterone production in human volunteers just with a simple blood draw I would think. It would be a relatively easy study to do. And I guess, you know, folks will be happy to volunteer for it and I suppose you will need a double-blind and you’ll have a sham device, but evidently doable. I’m surprised nobody’s done it. Ari Whitten: Yeah, me too. And obviously, there’s research around fertility enhancement and sperm production and sperm motility and sperm count and those sorts of things, which is very positive. But then, yeah, it’s kind of strange that there isn’t more research around testosterone. Ari Whitten: Yeah. So, but is there any other area that you feel that there’s kind of hype and claims being thrown around that isn’t warranted by the evidence? Dr. Michael Hamblin: I think the hype comes from certain manufacturers who have hugely overpriced generally laser devices. And you can tell that they are overpriced when you finally figure out what the power level is. I mean the famous example was Q-laser, right? I don’t know if you heard the whole Q-Laser saga where Larry Little ended up going to jail for 12 years because he wouldn’t, he wouldn’t cease and desist, he thought he was above the law. Ari Whitten: No, I actually don’t know about that. Dr. Michael Hamblin: But he, he has this huge manual. And he claimed to treat every known disease under the sun with these Q-laser, which was a pretty underpowered laser actually. And that was one of the reasons why the feds to come to court was because of this manual, which was a bit ridiculous. Yeah, there was proof, a little bit of truth in it. You know what, once you understood that he had this ridiculous device and he was charging thousands of dollars for it. You could see it was hype. Ari Whitten: Yeah. Interesting. So, I want to dig into mechanisms a bit with you and I know that this is, in your most recent textbook, you kind of broke it down into cellular mechanisms, tissue level mechanisms and one other category, I’m forgetting exactly how you, how you framed it all, but there’s…. Dr. Michael Hamblin: The first level is molecular. You need a chemical, chromophore, to absorb the light, right? Something actually has to be colored, usually to absorb the light. Although when you get to longer wavelengths, like 980 and 1064, the chromophores could be water. But most of the time the chromophore is a colored molecule because it absorbs light. And cytochrome c oxidase. 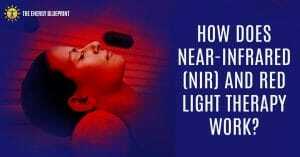 Happens to be the only molecule in human cells that absorb near-infrared light to any appreciable extent. Other colored molecules, flavins, and perforins, and opsins, what have you, but generally absorbing shorter wavelengths from cytochrome c oxidase. Ari Whitten: Okay, so we started that level. Dr. Michael Hamblin: [Inaudible] You’ve got something to have something that absorbs the light, then the sub level, you’ve got to have something, some sort of signaling pathways that gets back. Just absorbing a photon of light is not going to do anything in the long run, even if it makes them more ATP. ATP doesn’t last long, right? That’s why you make it all the time because you’re burning it up. So, making a bit more ATP is good, but it’s not a long-term thing. The long-term things are signaling pathways plays that get activated, which trigger transcription factors which alter gene transcription usually get more, but sometimes you get less transcription or some genes and more transcriptions of other genes. So, once you’ve got changes in gene transcription, you’ve got potentially long-lasting changes. Especially when cells move around or new proteins are made. These are gonna last some time. Dr. Michael Hamblin: Come up with a theory to explain why a single exposure of light in an animal model can have an effect from the mice and rats that lasts weeks and months. A single exposure to light. Ari Whitten: Yeah. Yeah. Fascinating. So, one of the other layers of mechanisms among potential dozens of different compounds and signaling pathways that I know are kind of, have been discussed a bit in the scientific literature, but one of the main ones is focused on nitric oxide. Can you talk a bit about the latest understanding of the role of how, how nitric oxide is interacting with, with our mitochondria and how red and near-infrared light are affecting that? Dr. Michael Hamblin: Okay. And so, I think nitric oxide is involved in quite a few photobiomodulation pathways. I mean, there was a theory that nitric oxide bound to cytochrome c oxidase and the light photodisassociated the nitric oxide from cytochrome c oxidase. Now, there’s no hard evidence of that. So, it’s still a theory. And in my opinion, may not be as convincing as it seems a few years ago, but nitric oxide is clearly involved. You get vessel dilation, you get increased blood flow, which are relatively rapid effects. It happens within seconds to minutes. Nitric oxide is involved in inflammation. So, the three different kinds of nitric oxide synthase, the endothelial, which is blood flow, vasodilation, there is the neuronal, which is interesting, was also inducible, which is dramatically higher when you’ve got inflammation than the other kinds. So, when you’ve got acute inflammation, you get a huge bursts of nitric oxide, which you want to reduce, quite frankly because photobiomodulation is anti-inflammatory. And because, as I mentioned a while ago, it switches the macrophage phenotype from m1 to m2. m1 macrophages have all the iNos. And m2 have low levels of iNos, so by switching the macrophage phenotype, you can dramatically reduce high amounts of nitric oxide which causes what they call nitrosative stress. So, the nitric oxide is one of these gene molecules a little bit does you, but an awful lot of it can be harmful and damaging. Light therapy can apparently do both. So, it can increase nitric oxide in the blood vessels and increase blood flow and especially in the lymphatics. So, the lymphatics are very responsive to nitric oxide. And photobiomodulation increases lymphatic drainage, reduces swelling at all this. But in acute inflammation where you’ve got high amounts of nitric oxide, the photobiomodulation can reduce it by switching the macrophage phenotype. Ari Whitten: Fascinating. So, one of the other mechanisms that a lot of researchers have placed importance on is the role of reactive oxygen species or free radicals, in this process and kind of a hermetic understanding of the mechanism or at least one of the mechanisms of, I guess, layers of mechanisms of action of red and near-infrared light therapy. And can you talk a bit about the role of reactive oxygen species? And any sort of hermetic effects that are going on. Dr. Michael Hamblin: But yeah, so one confusing thing about reactive oxygen species, is it’s quite clear when you’ve got normal cells in culture and you shine red near-infrared light on them, you get a brief burst reactive oxygen species generated in the mitochondria because the mitochondrial membrane potential has gone above normal, right? So, it’s not a long-lasting ROS that would be oxidative stress. It’s a relatively brief, relatively modest burst of ROS, but it does trigger a lot of redox-sensitive signaling pathways. So, you get antioxidant enzymes produced in response to this bit of ROS that you triggered. Now let us take an analogous example where you have preexisting oxidative stress, okay? The reason you have preexisting oxidative stress is you have mitochondrial dysfunction. So, your mitochondrial membrane potential is below normal, and your mitochondria are constitutively producing ROS. But when the light raises the mitochondrial membrane potential back to baseline, the oxidative stress goes away, the ROS goes away. So, because you always get ROS when you change mitochondrial membrane potential. So, when it’s baseline and it goes up, you get a brief burst. When it’s depressed, you get ROS, but when you raise it with the light back to baseline, the ROS goes away. So that explains why photobiomodulation could increase ROS and decrease ROS depending on the preexisting level of oxidative stress. Ari Whitten: Fascinating stuff. So, another couple of sorts, of more potential speculative mechanisms are the effect of red and near-infrared light on water viscosity inside of the cell. And this relates to Gerald Pollack’s work and the fourth phase of water and kind of. And there’s a number of related studies to this idea that it’s affecting the viscosity or the structure of the water in the cell and that’s influencing either signaling pathways or just energy generation by the mitochondria in the cell. That’s one. And then the other one is there’s also some research around how red and near-infrared light interacts with, metabolites of chlorophyll in a way that helps the regeneration of ubiquinone, of, of CoQ10 inside of cells. Are you familiar with those layers of, of research at all? And what do you think of those potential mechanisms? Dr. Michael Hamblin: Well, certainly wavelengths which are longer than, let’s say 950, so 980 is a good example, 1064, 1070. These wavelengths are actually quite powerful to do photobiomodulation. Well, not obvious that there’s any other chromophore, other than water. So, once you’ve accepted the water is the only chromophores that can absorb these waves lengths, you need to come up with a mechanism. And the favorite mechanism is, as Gerry Pollack’s showed, water can have a fourth phase, which is so-called nanostructured water or, as he calls it, exclusion zone water. And it has different absorption coefficients. And that’s, I mean Gerry Pollack studies are quite clear that if you shine different wavelengths of light on this nanostructured water, it does things. It does things that regular bulk water doesn’t do. So once the water can change, the proteins that are in the water can change. And one thing might be the viscosity and the speed of the ATP synthase molecular rotor, as the German guy claims, Andrew Solyma. Our theory is it changes in the tertiary structure of ion channels because whenever you’ve got a localized alteration in the water, it’s quite reasonable to expect tertiary protein structure to change. So, I think this is one reason that near-infrared wavelengths can trigger ion channels. Hey, blue and green light can trigger ion channels via opsins because they are clearly absorbed by opsins… Not 980, doesn’t really get absorbed by an opsin, but it does get absorbed by this nanostructured water. So, your other point was about chlorophyll metabo…. was this in humans? ’Cos, animals are traditionally fed lots of chlorophyll. Farm animals, mice, rats and they are likely to have photoactive chlorophyll metabolites. Humans, not so much, I’ve never heard of it in humans. Ari Whitten: Yeah, it’s really just one study that has shown this and it’s not in humans, it’s animal research, but it, it wasn’t a, it wasn’t a mammal. So, the title of the study… Let me actually just find it. It’s something along the lines let me actually just find it. It’s something like Mammalian cell and light and let’s see. Dr. Michael Hamblin: I think I saw that paper when it came out, I remember I saw that because it was quite a surprising paper. It was because it was in a, it was quite a high impact journal if I recall. Ari Whitten: Yes, it was in The Journal of Cell Science. Dr. Michael Hamblin: Right, yeah. Initially, they used an exogenous chlorophyll – it was pyropheophorbide I think, which is a well-known photosynthesizer. I’m not convinced that this is going to be naturally occurring in humans at all. Dr. Michael Hamblin: So extreme vegetarians eat huge amounts of green leaves, they don’t get photosensitivity. I never heard of it. Ari Whitten: Yeah. Interestingly, I… kind of a funny story, but I had a biology teacher when I was in high school. We used to drink vegetable juice, green juices and then right after she would go lay in the sun because she was convinced that there was some, some synergy there. But obviously, it’s all still very speculative at this point. But I think personally, I, I think that it’s an interesting line of research. I’m interested to see more; more studies will come out on that. Dr. Michael Hamblin: Well, it could be. As you said, it was in a high impact journal, so I think quite a few people would have to take you could notice of it. So, we will see what happens. But I really do not think that this is a generalized mechanism for photobiomodulation. Ari Whitten: Okay. Gotcha. So, I want to go really practical, hopefully. Do you have another, maybe 10 minutes or so to stay with me here and just kind of cover them? Dr. Michael Hamblin: Oh, I’ve got this far, we might as well carry on. Ari Whitten: Excellent. Yet, this is for everybody listening. This is a little humorous because we had some tech difficulties getting on the call for the first 20 minutes. So, again, I appreciate your time. Dr. Hamblin. So, one of the things you mentioned before was lasers versus LEDs. And you mentioned that in your experience, the… basically looking at the evidence, there does not seem to be any difference when you compare laser devices versus LED devices of similar parameters. Is that correct? Dr. Michael Hamblin: Yeah, it’s really hard to get the parameters identical. In fact, you could even say it is impossible because the laser is going to be monochromatic and you really wanted to do that with LEDs, have to use a narrow bandpass filter, two or 3nm bandpass filter on your LEDs and nobody would do that. So yeah, that’s being a bit picky because I really do not think there is any fundamental difference. A photon is a photon whether hops out of a laser or an LED. Remember that the basic semiconductors with the same anyway, it’s just that they’re kind of engineered differently in lasers. Ari Whitten: Yeah. It’s interesting because I’ve talked to some specific practitioners that use laser devices and there are absolutely convinced that only laser devices can work in the way that they think, but I, I think this is really good. Ari Whitten: Well, I mean there are some, some pros, right. I mean lasers are typically kind of spot treating a very small area and LEDs have the advantage of being able to treat much larger surface areas all at once. Ari Whitten: Yeah. So, if nothing else, they’re more time efficient. Dr. Michael Hamblin: And more economical. So, on a $ to $ basis, a laser is 100 times more expensive than an LED. Ari Whitten: Yeah. Yeah. Interesting. So, I’m very curious to hear your thoughts on pulse rates because there are a lot of different manufacturers who are making a lot of claims around very specific pulse frequencies of their lights having all sorts of different effects. There are lots and lots of things claimed for this. I have not been able to find a lot of good actual evidence to support a lot of these claims. But what, what is your take on pulse rates? Is there any good evidence for, for any particular specific pulse rates as being uniquely beneficial and superior to no pulsation or just kind of a standard LED without any specific pulse? Dr. Michael Hamblin: Yeah. So, I think I’m most convincing evidence is in the brain. So, Lou Lemon, the Vie Light, you can get it at two different pulse frequencies, you can get the so-called Neuro Alpha at 10 hertz and you can get the Neuro Gamma at 40 Hertz. So is convinced that these are different, but also that you do need the pulsing so that his, the total power output for the Vie Light is not huge. It’s like 200 milliwatts total power, which is like nothing for something you put on the head, but the device has amazing effects and the obvious reason is the pulse rate and the fact that you use the 10 hertz for one set of complaints and 40 hertz for another. So, I think that’s quite convincing, actually. And if you bought the 200 milliwatts on it, see how it would do nothing. I mean anything. Ari Whitten: Interesting. So, you do you think 10, 10 hertz and 40 hertz are solidly backed by evidence and do you think those are the only two frequencies of pulse rate? Dr. Michael Hamblin: Not the only two. I mean, in the low hertz will probably be better than CW. When I say the low hertz anything between one hertz and 200 probably better than CW. I mean, 10 and 40 seem to be fairly magical for the brain now if you’re going to treat inflammation in the knee or something. Right? Yeah. I’m quite prepared to believe that some kind of pulsing as better than CW. Ari Whitten: So, what is, what is CW? Dr. Michael Hamblin: Continuous wave. Dr. Michael Hamblin: I don’t think there’s any important number for your general parts of the body. I think that the 10 and the 40 hertz are possibly important for the brain because they resonate with brainwaves, so alpha waves and gamma waves, have this underlying frequency. The light resonating with the brainwaves. You can imagine it would do something additional. Ari Whitten: Now when we’re talking about an additional effect, are we talking about the difference between, let’s say you use a continuous wave device as just a standard led panel kind of shining through your forehead on your brain versus the Vie Light pulsed at a specific frequency. Are we talking about maybe an additional benefit of 20 percent or are we talking about the difference between not working at all versus working? Dr. Michael Hamblin: Well… I think personally I think I’d be really surprised if the 200 milliwatt Vie Light work at all at CW, because it’s such a small amount of power. Yeah. We would put something on the head. A panel on the forehead, right. I would expect to use a few watts spread over the forehead five, something like that. So, the power density would be in the 10 to 20 milliwatts per square centimeter. So, the other thing about the Vie Lights is it targets specific areas of the brain by specific parts of the head. Now, whether this is real and because the power is so low, it’s difficult to see it really penetrating the scalp and the skull and getting into the area of the brain. But there are studies that show that where you put the lights on the head is important. Dr. Michael Hamblin: So, I think this was one of the big questions keeping all the brain photobiomodulation folks are interested in is what is the best way of doing it? The Australian folks, just reviewed a paper from there where they doing remote photobiomodulation for the brain? So, they’re shining the light on them and it was great. It’s in animals. It’s on the body, know the legs and the back had the mouse is covered up with aluminum. It got no light and shining the light on the body clearly benefits the brain. No, no question. So, there is a systemic component to this, and we do not know how important the systemic components and the direct local component in the brain is. Ari Whitten: Yeah, and I’ve heard you speak in a, in a previous interview on the sort of very low power intranasal devices that are kind of claimed to directly target, kind of direct that light into the brain and that you are under the impression that those lights are too underpowered to actually do that. And that the effect on the brain is probably more due to systemic effects by irradiating the blood. Is that still accurate? Dr. Michael Hamblin: Absolutely. Quite agree. You can also put little-LED lights on the risk and people selling a watch sort of thing that has red near-infrared light on the veins on the wrist and they benefit from that. Ari Whitten: Yes. Yeah, I’ve seen that device. I believe it was called the Kwantlen from Jack Kruse and Ruben Selena. So, if I remember correctly. So, I want to talk to you on a very practical level. What are your thoughts on dosing and devices? So first of all, there are so many different parameters that are used for and different devices that are used in the actual studies. What do you feel are optimal power densities? And I, I know that maybe that differs depending on whether you’re trying to target more superficial skin issues for anti-aging versus you’re trying to target deeper tissues. But do you have any thoughts on what the optimal power density for a device is? Dr. Michael Hamblin: Well, I mean we, I doubt the power density is critical, right? I think the total energy is probably the most important thing. And also, it depends what area you’re radiating. If you are radiating a big area, like the whole body, right. 10 or 20 milliwatts per square centimeter is high. You put its energy into the whole body. The body surface area is two square meters. So, if you’re in a Novothor, which is a whole body light bed. Dr. Michael Hamblin: Catching 10 milliwatts per square centimeter square to square meters, that’s a point in 2000 square centimeters. So that is 20,000. I’m constantly saying 10 milliwatts times 20,000 that is 200,000 milliwatts, or 200 joules, per second energy. 200 Joules per second. So that is 12,000 joules a minute and 10 minutes. One hundred and 20,000 joules of energy. So, it adds up. Dr. Michael Hamblin: It’s a big area. Yeah, I think a few thousand joules is what you want from a photobiomodulation treatment. If it’s only a few hundred joules, it’s probably not enough to do anything unless it’s very carefully targeted to specific areas of the body. For a typical photobiomodulation session on the brain, three thousand joules is about right. Ari Whitten: Okay. And so how does this relate to, like joules per square centimeter? Dr. Michael Hamblin: Well, the typical joules per square centimeter is 10, 20, 30 something. I think the total number of joules of energy is what you should be worried about. Because if you do have a tiny focus laser beam, and I’ve seen people claim this, they say I’ve got a hundred joules per square centimeter because you got a tiny little beam on one square millimeter or something. That’s just ridiculous. Ari Whitten: I gotcha. So when, when we’re looking at specific areas, we’re, we’re searching, let’s say somebody is trying to treat, do skin anti-aging on their face, how many joules would they want to deliver to that region of their body in a given treatment? Dr. Michael Hamblin: Okay. Well, let’s say they’ve got… depends on how big their device is. Let’s say they’re going to face mask. A to face might be several hundred square centimeters. Let’s say 500. I’m just guessing. So, if they had 10 joules per square centimeter over 500 square centimeters and that would be 5,000 joules. So yeah, usually in a few thousand usually. Dr. Michael Hamblin: Over a good area? Dr. Michael Hamblin: You can obviously overdose on the light. So, it’s not common in humans. I have to say most of the studies showing a convincing Biphasic those responses being done in cells or animals. But we do assume that you can, hit those in light in humans. I have to say 10 minutes in the Novothor, we’ll get you 120,000 joules of energy. And now with sunbathing, you put sunscreen on. You’re not getting any UV and you put your shorts on, you’re going lie in the sun in the middle of the day, at a moderate latitude, you in one hour sunbathing, then you will get a million joules to have optical energy. Because the area is in the hundreds of square centimeters with a focused laser beam, you’re lucky to have one square centimeter, right? So, if you’ve got to focus the laser beam 10 joules per square centimeter is probably fine. You got to pick something and that seems to be what people thought alike. But if you, if you’ve got LEDs, you have the same dose. We’re not saying it’s totally different, the area is a huge amount. They get the total number of joules are hundred times bigger a thousand times. Again. So, in terms of devices, is a larger device like, let’s say something like a Novothor or just a, like a very large head to toe led panel always superior to a smaller device? And is there a place for maybe higher power densities for doing more targeted treatments of specific areas and reaching deeper tissues where that’s actually superior to doing some of the low power density stuff that is full body sort of light panels? Dr. Michael Hamblin: Probably. The answer is probably correct. So, if you’re treating orthopedic conditions, arthritis, especially in the hip or the shoulder, which, apparently, fairly deep joints. Then you might want a fairly high powered laser beam to get down there. Then a whole other discussion of whether, if it’s a superpower that doesn’t really penetrate deeper, which is still a little bit of an open question actually. Yeah, I’m prepared to, to agree that some deep tissue conditions focused laser beam may be more effective than a large LED array. Dr. Michael Hamblin: That should be fine. Yeah. Yeah. Ari Whitten: I mean, I, if I take a flashlight and shine it through my hand, like the example that you gave earlier if I put that flashlight, if I press it into the palm of my hand, I’m going to see a lot more light comes out the other side as opposed to I just moved that flashlight a few inches away. Treatment frequencies – how often should you get treatment to get red light therapy benefits? Ari Whitten: Okay. Do you have any thoughts on treatment frequency, and this is, this is another area where the research is kind of a mixed bag of everything from once every few weeks to twice a day? So, do you have any thoughts on what optimal treatment frequency might look like? Dr. Michael Hamblin: I think it depends on the severity. If somebody has a brain problem, Alzheimer’s disease, let’s just say I think initially you want to treat at least every day and I wouldn’t argue against twice a day, but for brain things you quite often treat before bedtime because it sends you right off the sleep. So maybe you don’t want to do it in the morning as well. I think daily before bedtime, but anything to do with the brain, it’s good. If you have an injury, right, you sprain your ankle you have some kind of injury, I would. And you can have a LED device at home. I would use it at least every day. Certainly, to start with the reason that people that treating twice a week or three times a week, it’s folks have to travel to some doctor’s office to have light shone on, right? Because they rent or trial or they have a therapist who is treating them and when you think of it, do you really want to get in your car and drive somewhere to have light shone on you. I mean people say, I can shine light on you if I have the right kinds of lights. So, I think its home use devices proliferate. I think people will treat themselves when they need to. Possibly every day, maybe even twice a day. Most people can figure out for themselves what works. And I’ve even had heard of a few people who reduced the frequency or the total dosage or something because they thought less is more. This is the key thing in the biphasic dose response is to realize when less is more. Ari Whitten: Yeah. I’ve wanted to ask you about the Biphasic dose response and basically, for our listeners, this is just the idea that a much larger dose, a higher dose can actually provide less of an effect than the right dose at a smaller dose. But I have heard on the subject of anecdotes, I have heard a number of people with reports that some of the high powered, very large sort of head to toe devices actually create, like actually make them more fatigued and that they, they don’t feel as healthy. As a result of, of that, and I’m just curious if maybe the really large high power devices sort of the head to toe led panels might actually be more prone to overdoing it when it comes to the dose. Dr. Michael Hamblin: Okay. That’s interesting. You should say that because it’s becoming apparent that humans are not genetically identical, and that humans can be divided into three groups. So, there’s a fairly small group that are like super sensitive to light, like hyper-responders, right? There’s quite a big group, the majority who are in the middle. And then there is another group, the third group that is like, nonresponder you can give them as much light as you like. It will have no effect at all. They’re like blocks of wood, right? Now that the majority of the normal people that own the dosimetry is, is usually tailored for. But the hyper-responders are the ones that you came to complain it got too much that they didn’t feel good. They couldn’t get to sleep, they were jacked up and all these complaints that you get. And a few folks are now saying that you can identify these people before you start. Now we’re even talking to the Australian folks about coming up with some questionnaire that, that you could give these folks has to try and identify the hyper-responders. For sure, you should give them a lot less likes and [inaudible]. These are the ones that are going to complain that they got too much. Ari Whitten: Gotcha. But otherwise in general earlier in this interview you’ve made it really sound like there’s not a huge concern around overdoing it. It’s the research indicates that it’s pretty darn safe and that the dosing parameters are pretty large such that it’s not that easy to overdo it and get negative effects. Would you say that’s accurate? Dr. Michael Hamblin: That’s absolutely accurate. So even if you do get a negative effect, it’s really unlikely to last anything other than transit the next day I think whatever it is they’re complaining or have worn off. Ari Whitten: Okay. So, my final question for you, and I, I really appreciate the time that you’ve put into this. It means a lot to me. But my final question to you is about sunlight, and this is something you mentioned in passing a couple times earlier. Sunlight has some of the same benefits as you might get from a near-infrared light or red infrared light led panel or a laser device. What do you, is it possible to get all of the benefits of red in your infrared light therapy from, from sunlight exposure, and what do you think are some of the kind of pros and cons of sunlight versus a red or near-infrared light led panels? Dr. Michael Hamblin: Well, you know what? Oscar Boneheart said in the 1930s. He said if you go and lay in the sun on the beach, you get a sudden bath, but if you go and lay in the sun up in the mountains, which he had a clinic in the Alps, you got medical treatment. It does appear that the altitude has a major effect on the effects of the sun. They call it heliotherapy, which is why all these clinics with heliotherapy are built in the mountains, I mean even that. Yeah. I have a personal theory that the reason to explain that is the oxygen tension, so because the pressure is less up in the mountains, your mitochondrial metabolism is different, so the effect of the light has a different effect. Now that I’ve thought would only see the testable because you could use near-infrared light up in the mountains and see if it behaves the same as it does at sea level, but I don’t think anybody’s done that experiment, but there is some reason why the sunlight is more effective up in the mountains, but I don’t think the effects are identical. I mean people say that it helps them to be in the sun, but I doubt you could treat Alzheimer’s disease by sunbathing. I really doubt it, where it’s quite clear you can treat it with photobiomodulation. Ari Whitten: Gotcha. Yeah. That’s a nice way of encapsulating the benefits. Well, Dr. Hamblin, this has been an absolute pleasure to do this interview with you and thank you so much. I’ve really, really enjoyed this and as I said before, I’ve admired your work for a long time, for many years now, almost a decade. So that’s, it’s an honor for me to have done this with you. Thank you so much for your time. And, where do you recommend people find out more about your work? Dr. Michael Hamblin: For anybody who wants to kind of learn more about this topic? Well, I mean, you can visit my Amazon author page. You will see all the books I’ve done and some of them are affordable, some of them are not. Some of them are hundreds of dollars. There is plenty to choose from. Ari Whitten: And you also have, in fact, of course, hundreds of studies that someone can access on PubMED or Google Scholar. Dr. Michael Hamblin: All my papers are freely available in PubMed central. Show full text, free full text, PDFs and it’s linked from PubMed. So, if you find them in pub night, you’d see a LinkedIn PubMed central and then you can download it. But yeah, sometimes when to get that, but that’s several hundred free full-text downloads available. Ari Whitten: Wonderful. Well, thank you again, Dr. Hamblin. I really appreciate the work that you’re doing. It’s meant to a lot to me personally and I hope that this podcast will help you get the word out and spread your message and I think you’re doing a lot to help people and I, for one, certainly appreciate it. So, thank you again for taking the time out of your day to do this and have a wonderful rest of your evening. Dr. Michael Hamblin: Okay. Thank you, Ari. It took us a little while with the technical difficulties. It was good fun. I enjoyed it. Ari Whitten: Absolutely. Yeah, I did too. So, thank you again, Dr. Hamblin. Have a wonderful rest of your day. If you want to learn more about the science behind red light therapy benefits, I would strongly recommend you go check out the article I did that uncovers nothing short of 29 benefits of red light therapy. You can find it here! I recently purchased a far-infrared sauna with overhead light therapy. Will I get the same benefit from using red light in this sauna as I would from a near-infrared source of red light? Thanks. No definitely not. The chromotherapy LEDs in saunas are not at the correct wavelengths, and are about 1/100th of the power output you’d need for effective red light therapy. You still would need the LED devices I recommend for the benefits of red/near-infrared light therapy. I could not listen to the whole interview. Could you kindly send me a link of the best red light therapy machine to purchase? Great podcast, Ari. I liked how you asked specific questions that most of your listeners would want to ask and then added more technical questions that we didn’t know we should ask! I have your book, Ultimate Guide to Red Light Therapy, and learned a lot. After conducting this interview, do you have any modifications to the doses you recommend in the book for various health goals? Also, I am thinking of buying the first light from your list of the top five recommended lights. Do you still recommend that light as your top choice? All my recommendations are basically still the same. For healthy people, based on Dr. Hamblin’s thoughts, I’d say you could experiment with larger doses as well. Hi Ari I believe you personally use a Sunlighten Solo, and also two RedRush devices on their sides on the ground, right? Ari who is right in this debate about infrared light LEDs vs Saunas? Hi Stephanie, They are both great investments, but really different categories of devices. SaunaSpace is really a sauna (with FAR-infrared/heat), with a side benefit of SOME of the benefits of red/near-infrared light therapy. But it is not nearly as powerful as the red light therapy LED devices I recommend for the purposes of red/near-infrared light therapy. So if you want the benefits of red/near-infrared light therapy, get one of my recommended devices (which you can see here: https://www.theenergyblueprint.com/red-light-therapy-ultimate-guide/). But if you’re in the market for a sauna, the SaunaSpace is a great option. Hi Stephanie, Do you mean SaunaSpace? Ari, did this interview change any of your recommendations from your book. I’ve got the LED Platinum light ordered, and wanted to check for any updated dosing rec’s. No, my recommendations are still the same. For healthy people, based on Dr. Hamblin’s thoughts, I’d say you could experiment with larger doses as well. Have purchased the book and viewed the podcasts – thank you! My elderly mother has diabetic foot ulcers on one foot and we received the distressing news a week or so ago, that the blood flow to her foot was now so reduced that the surgeon felt there was no alternative but to ultimately amputate below the knee. Clearly we are absolutely distraught and I am trying every avenue I can think of before having to make this difficult decision. I wondered whether the Redrush 360 (or another?) would give us any hope, targeted on her lower leg and foot? I’m probably clutching at straws, but I would really appreciate your thoughts/guidance – anything to improve the blood flow can only help? She is managing the pain at the moment, so really looking at anything, anything at all, that may help to increase the circulation. I may be trying to take a quick leap instead of deep dive. So my question maybe answered in your book which I have purchased. Is red light therapy appropriate for people of color / dark skin tones? I just saw a note in a certain product’s advertisement. I know that many of the laser therapies are not recommended. Just curious – when I try to do a quick search nothing is coming up.